We had a phenomenal time at JR & Chantal’s wedding this weekend. The weather was perfect and so were all the details they planned! They had a “wishing tree” where guests could leave the new couple good wishes and a little Halloween candy display to celebrate the holiday. Not to mention the digital photo frames and the pictues of weddings past decorating the rooms. 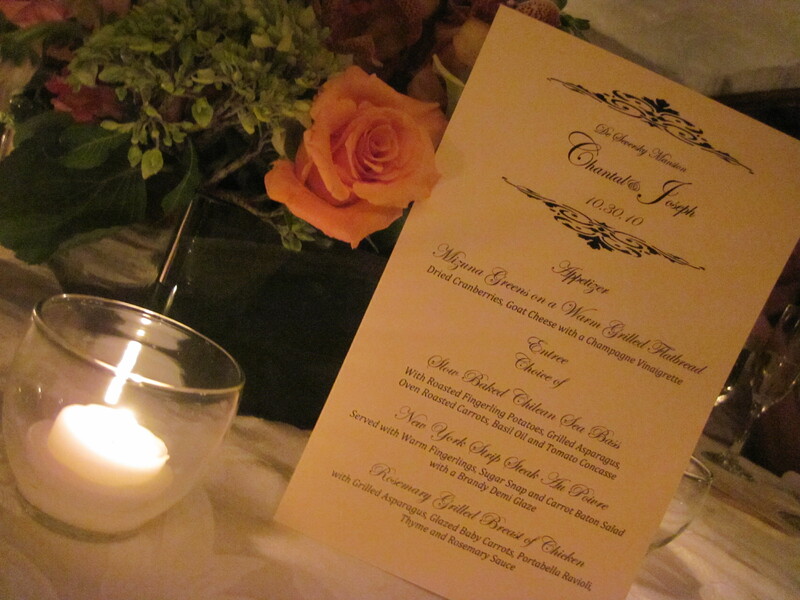 The details really made the night extra special for everyone. More photos on Facebook using this link (you don’t need a Facebook account to view the photos). CONGRATS JR & CHANTAL!